Jesus calls all of us to follow Him. We respond by becoming disciples and living lives of witness and service. The call to follow also includes a call to holiness. The call to holiness means that being a disciple involves living a life which is in touch with how the Holy Spirit is leading and guiding us. All of us are called to develop a spiritual life which supports and sustains our life of discipleship. One form of discipleship is serving as a Pastoral Council member. The pastoral council is an elective body. The council is a consultative body. As such, it exists as a wisdom group commissioned to discern, proclaim, and make visible the presence and action of the Spirit within our Parish. Its very nature is to provide counsel. develop long-range strategies for the future of the parish in collaboration with local leadership and parishioners as well as in conjunction with the Archbishop’s pastoral priorities and initiatives. Pastoral Council members are expected to act as liaisons to our Committees: School, Worship, Christian Formation, Stewardship and Human Concerns and to report their activities to the council. Discernment of new members will occur at 9:15 am, Sunday May 19. 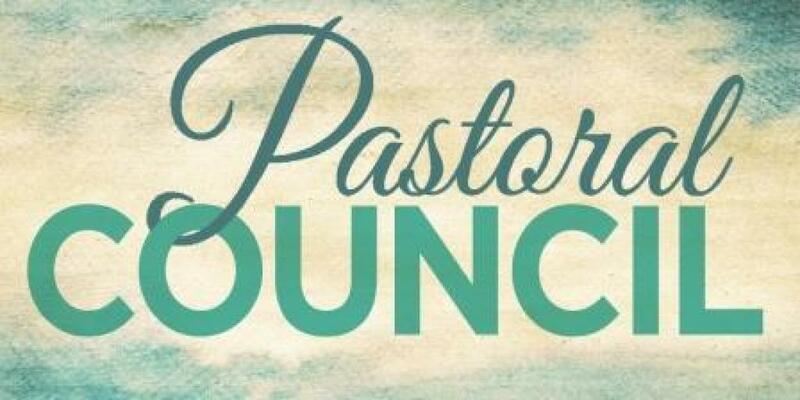 Discernment of new members will take place at a Pastoral Council meeting in June. If you have any questions, please feel free to call Jean Wanat at 414-460-2188 or click here to send her an email message. To nominate someone or yourself, please complete the form below.